Kitchen Cabinet Design Software Interface - Magnatron Inc.
Once you have purchased the 20-20 Kitchen Cabinet Design Software, then contact us to purchase our Magnatron Software. We have partnered with Saberis Inc. (saberis.com) to develop an interface to the 20-20 design system. This interface allows you to have a completely integrated business software package. No longer are you required to key the same information multiple times. From one PC you can have full control over all of your distribution and warehousing processes. 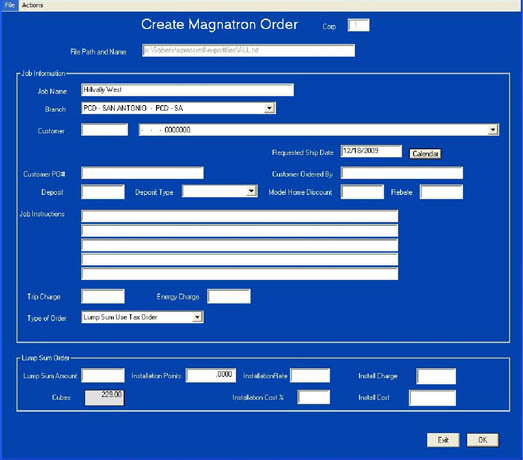 2020 design quote or quick entry orders can be migrated into the Magnatron distribution system via a seamless interface. Four different types of orders may be generated via the interface: Lump sum priced, Lump sum priced subject to Use tax (both of these types of orders include the installation charges as a part of the order) Package priced order and regular per cabinet priced order. Inventory items are created or updated via the interface with list prices and cost optionally coming from vendor catalogs in the 2020 databases. Surplus inventory is checked and allocated during the process to lower your overall inventory investment. Orders are generated into the order processing system so that they may be reviewed for truck load cubing. When the order is processed purchase orders are automatically generated by vendor. Via catalog link items are sorted to one or more purchase orders. So if one design contains items from multiple manufacture catalogs multiple purchase orders will be generated. Purchase orders may be communicated to the manufacture via Fax, EDI, email or XML document Upon receipt the location for the staged cabinets will be updated into the system giving the user instant access to where an order is located in the warehouse. Picking documents will print with the staged inventory locations. The physical inventory process allows for counting both the staged inventory and stocked inventory. 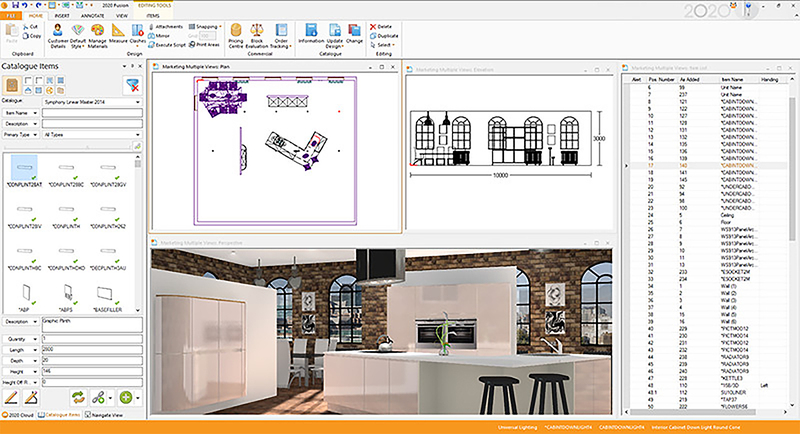 Magnatron, Inc. has extended our software functionality to the kitchen cabinet dealer by developing a new client-server interface from 2020’s kitchen design software package! 2020 Technologies, Inc. is the world’s leading provider and the industry standard of design software for the kitchen and bath industry. Its 2020 design program is supported by more than 1000 cabinet manufacturers worldwide, representing an estimated 95% of the total industry. The program generates full-color, three dimensional, photo-like renderings. To create realistic kitchen environments, design professionals have the ability to add effects in lighting, shading and textures. 2020’s kitchen cabinet designs can be viewed from any angle and revisions are instantaneous. Kitchen designs can now be seamlessly integrated into our Magnatron software package. Cabinet dealers can measurably increase productivity and order accuracy reducing order processing time and overhead. By helping you handle custom casework more efficiently MAGNATRON’s 2020 Kitchen Software Interface will improve your processing flows. Saving time and reducing mistakes enables you to have more efficiency and higher profits. Please contact us for more information about our interface or give him a call at 865-769-2622. Let us show you how the 20-20 Kitchen Cabinet Design Software Interface and Magnatron Software can benefit your enterprise. Vendors are now barcoding the cabinet carton with the Magnatron PO and PO line number. This barcode can be used during the receiving process. Handheld computers can be utilized to scan the barcode and match back to the PO making for an extremely efficient receiving process.